Arrietty is the latest offering from Studio Ghibli and is the debut feature production for lead animator Hiromasa Yonebayashi. Studio Ghibli is of course the studio that has brought us the brilliance that is Spirited Away (2001) and Howl’s Moving Castle (2004), with Yonebayashi’s contribution falling slightly short of the magic we have come to expect from the fantasy of the Ghibli animation. Based on the Mary Norton series of novels ‘The Borrowers’, the film makes a solid effort to incorporate the European feel of its source material and definitely triumphs in its exploration of a world far removed from our own; the world of tiny people called borrowers. 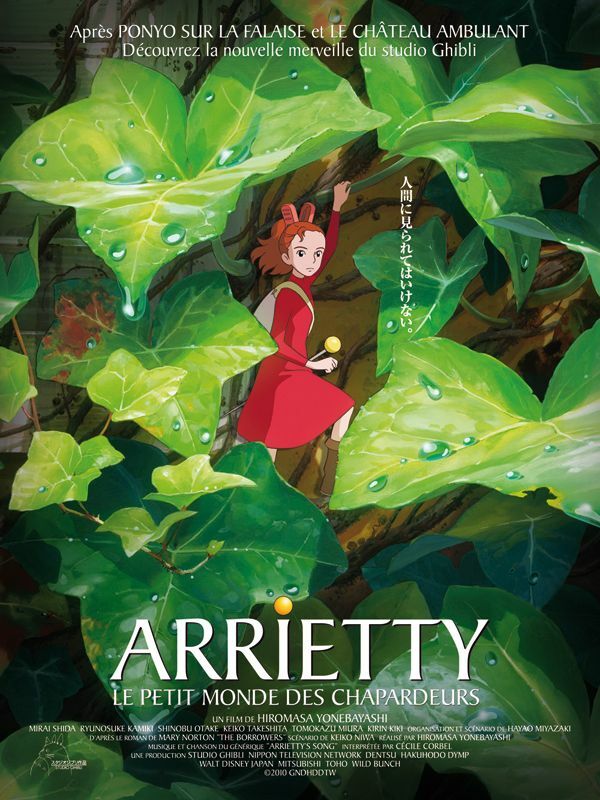 Arrietty follows the lives of a family of borrowers living in a Japanese country mansion. Living under the floorboards and borrowing necessities from the house’s human occupants, the family consisting of Arrietty (Saoirse Ronan), Homily (Olivia Coleman) and Pod (Mark Strong) live in constant fear of discovery and take numerous precautions to keep their secret. Their fears are soon realized when a sickly human boy Sho (Tom Holland) catches sight of Arrietty and attempts to form a friendship with her whilst helping the family borrow their livelihood. It is not Sho who displays malicious intent towards the family but rather the housekeeper Haru (Geraldine McEwan), who uses Sho to discover the whereabouts of the hidden peoples and to finally prove their existence. When the risk of detection becomes too great, Pod makes the dangerous decision to venture out and locate a new dwelling, despite the added dangers of the world outside. In this new venture the Ghibli studio has tackled a much smaller plot and attempted to stretch it over a ninety minute period, allowing for a focus not so much on the characters but on the scale of big versus small. Ultimately several scenes look like they were lifted right out of the game Little Big Planet (2008) and make me curious as to whether a video game franchise is in the works following this release. I say ‘attempted’ to stretch the plot because I don’t believe Yonebayashi truly succeeds in selling the film as a feature. The beginning was overly drawn-out and the action does not take place until the closing minutes, with the middle section sitting in a vast purgatory of visual splendour. The film would not be Ghibli if it weren’t beautiful, yet in comparison to the past decade of storybook enchantment from previous features Arrietty is missing that ‘x’ ingredient to fully form. Its greatest failing is its change over from suburban England to Japanese fairytale, with Mary Norton’s fiction working only within its own context. The setting of Yonebayashi’s film seems to try and balance these two cultures without fully surrendering to one and presenting a mismatch of European mentality within an Eastern environment. 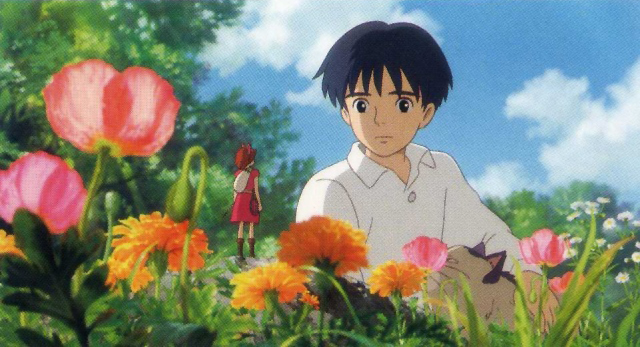 This is not to say the film lacks content, with the relationship between Arrietty and Sho a frontrunner for mismatched but perfect friendships. The added development of Sho’s frailty echoes with the borrowers’ own realisations concerning the extinction of their species and the similarities they share with humans towards mortality and survival. 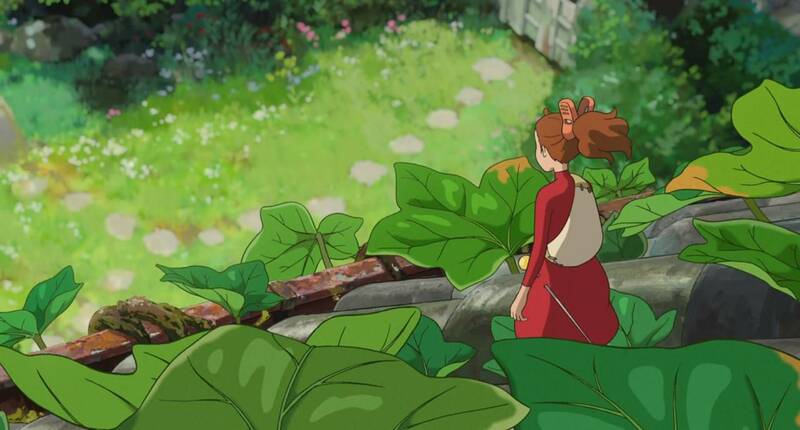 Arrietty is certainly not the best to come out of Studio Ghibli but it does have a certain charm. Despite a deficiency in continuity regarding the motivations of the villain Haru, the film has enough plot and brilliant framing to hold the interest of the audience. One hopes in the future that the next offering will bring back the grand scale storytelling that has made the Ghibli studio so renowned, both nationally and internationally, and bring back the enchantment that was sorely missing from this film.